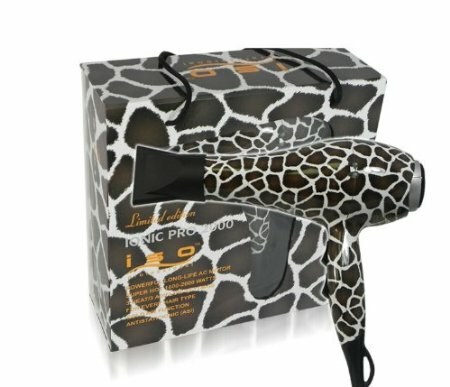 More power than a conventional dryer with a ionic generator, this Giraffe print dryer reduces frizz and static and cuts drying time. Ionic hair dryers use molecules with a positive or negative charge to dry hair which wet hair dry faster with less heat damage — making for a smoother and shinier mane. It has a long lasting motor with 1600W to 2000W of power to produce unsurpassed airspeed. Anti-Static/Ionic. For All Hair Types.